Lynn Mays did her undergraduate work at Geisinger Medical Center and University of Maryland achieving her Bachelors in Nursing. 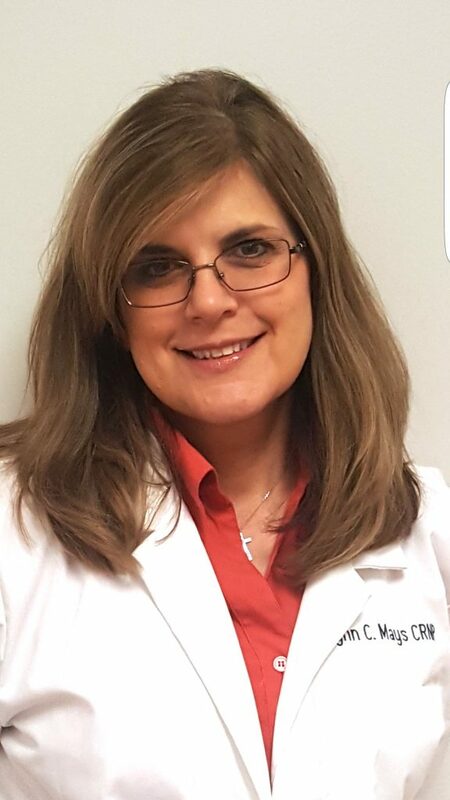 She then obtained her Graduate degree in Primary Care from Georgetown University and has been practicing as a Family Nurse Practitioner for the past 21 years. She is originally from Pennsylvania and has lived in Maryland for the past 30 yrs. She is a strong advocate for animal rescue and volunteers regularly at Mercy Health clinic for the underserved population.